I was back last week from my trip in Japan for Pycon Japan, and I wish I had spent an extra week there to see more places there. 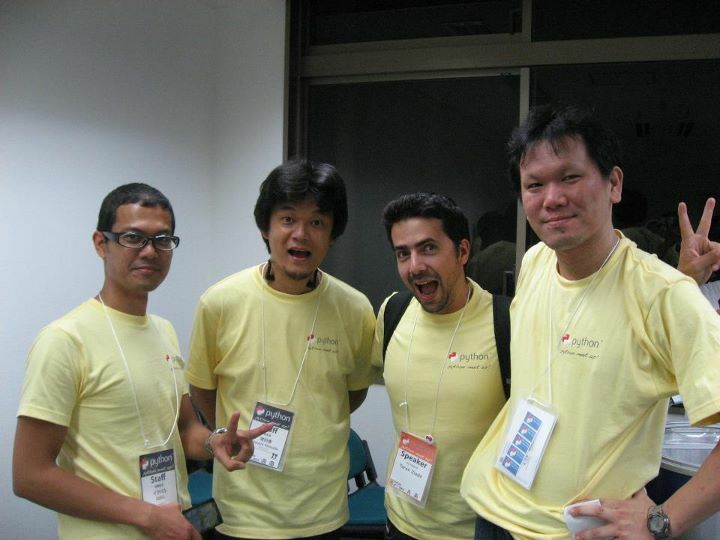 Pycon Japan was a blast, really well-organized and from what I've heard they had more than 200 attendees, which is a good size for a single day conference. I took some notes for Pycon France. I gave a keynote session -- you can grab the slides here: http://ziade.org/pyconjp-keynote.html. The keynote was mostly about Packaging and a little bit on my (subjective ;)) opinions about the uptake of Python 3, PyPy etc. I've spent the day chatting with people, and even with Guido himself, since the organizers set up a Skype-like video chat system were we could do live 1:1 chats with him. Guido spent quite some time with every attendee that wanted to speak with him. Thumbs up to Guido and to the organizers for this nice idea. Most talks were in Japanese but lots of speakers used dual English/Japanese slides so I could follow a bit. The lightning talk session at the end was fun -- as usual for those, and the organizers ended up offering some Mozilla Goodies after a giant rock/scissor/paper game. Then we had a party in a pub and ended up in another bar late at night. On a side note, I was amazed by the number of attendees asking me for an autograph on my book, Expert Python Programming, translated in Japanese. Also, check out Ian Lewis' blog about the event. I've challenged Komiya to write a few diagrams I have for some Mozilla projects using his tool, and it took a few seconds for him to build them. So, I am going to use this in the future. After the conference, we left with my wife to visit the city, then other places in Japan: Kyoto and Nara. Nara and its big park filled with temples is a very beautiful place. It was not the best time in the year to visit because it was very hot, but it still was really worth it. The best time is probably in March, when the cherry blossoms are opening. Japan has met my expectations : the food is great, people are extremely nice, and there are beautiful places to see.